I'm so excited to finally teach this material and offer this level of support to a group of homeschool families. I'm using Patreon to deliver this course. 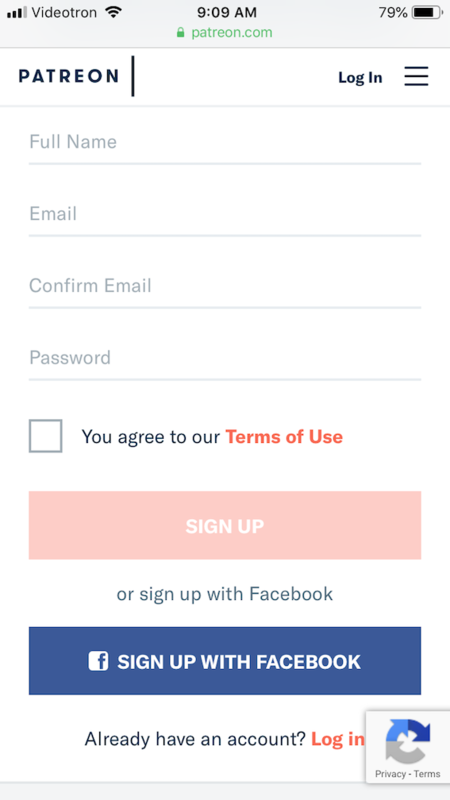 This post explains how Patreon works so you understand the sign-up and payment process and options. Patreon works by offering Patrons benefits at different levels or "tiers" of support. To deliver this course I've created a $20 tier level. 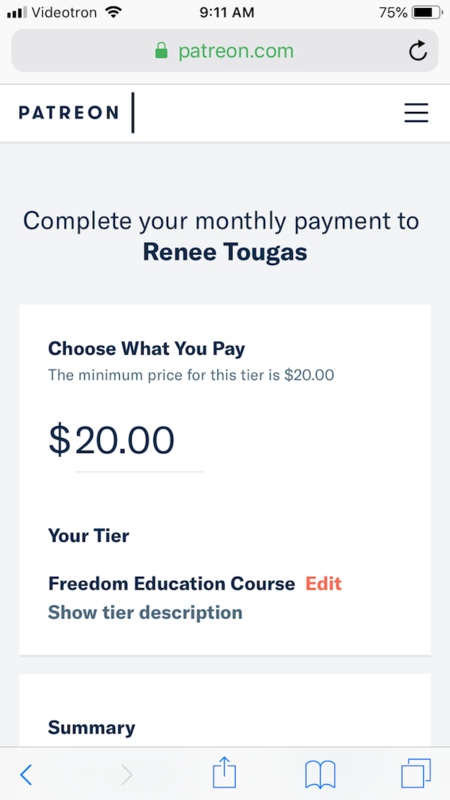 In Patreon speak this means you become a Patron of my work, supporting me at $20/month and get the "benefit" of the Freedom Education course. 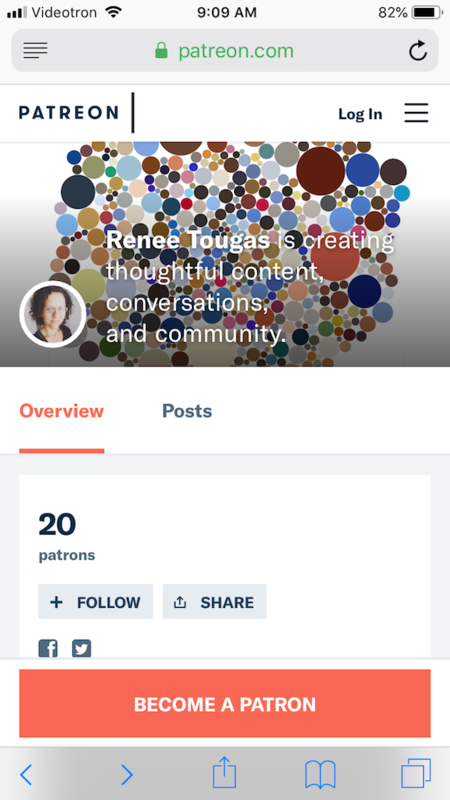 That's how Patreon frames it, but I frame it as: you pay $20/month for 3 months and get a 3 month course with weekly content, connection, and community. 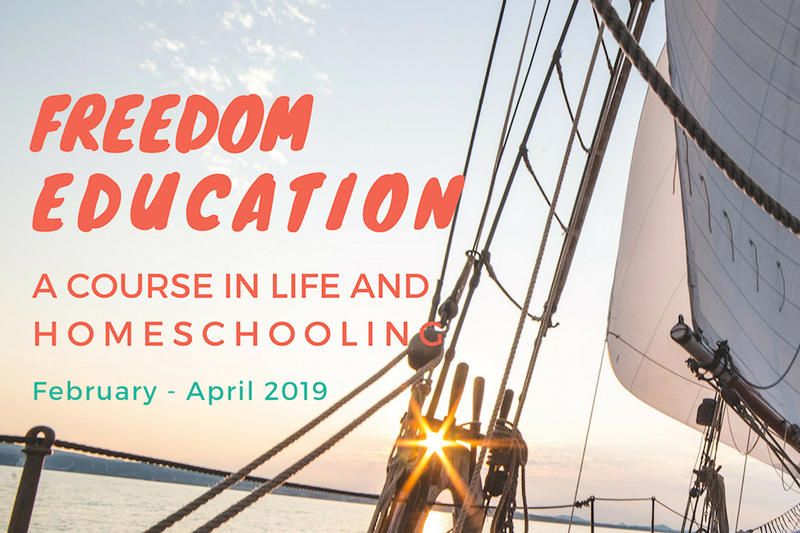 I'm using the Patreon platform to deliver this course, even though it's not exactly a "course" platform because I want to consolidate my writing, coaching, and teaching work in one place, for now. And I want to build my Patron base. Who knows? Maybe some of you will stay on as lower tier Patrons when the course is done. Here's the main thing you need to know about using Patreon for this course. I can't close the gate, so to speak, at any point during the run of our course. In order for the course to be active and for course Patrons to have access to the materials, the tier level needs to be open. As long as this tier level is open, anyone can join, pay the monthly charge, and have access to all the material at that tier level. In other words, people can join in March and have access to February's course content. That's just the way Patreon works. There are some wins in this situation and some loses. But I'm framing it as a win overall. The win to late joiners is that they get access to everything regardless of when they join. Maybe they can't afford $60 over three months. Maybe they don't hear about it until late February and they're stuck in the homeschool winter doldrums and really need the support and encouragement. So yay for those people. This could be seen as unfair to early joiners but personally I think you'll get more out of the course being here for the entire time. And you'll have more say in how I build the content, based on participants' needs. You will get your $60 worth! The win to participants is the flexibility and options. The potential loss to me is people taking advantage and signing up 11th hour and paying less than the course's value. But here's the thing, I'm not going to stress about this, or worry about the "potential" unfairness. This is my course and the way Patreon is set up actually allows me to practice the way I want to live. There is enough to go around. (There is no scarcity here, not even the false scarcity of marketing digital products.) I can trust people to do the right thing for their particular circumstance. I'm going to trust that this flexibility will be a win for everyone. Honestly, it's not like the masses are flooding the gates to join an interest-led homeschooling course. We're the niche of the niche and so if this open gate option brings more people to the table, then yay! You can sign up right now for the course. You'll have access to my monthly podcast immediately. Payments will be processed on February 1st, March 1st and April 1st. After February 1st, anyone joining the $20 tier will be charged immediately and have immediate access to whatever course content has been created. If they remain $20 tier level participants they will be also be charged the first of the following month for next month's material. This course will be finished the week of April 15th. There may be one more week of content depending on what evolves in the course, and the kind of information and support the group needs. But we're definitely done the end of April. At the end of April I will give reminders to all course participants to discontinue their $20/month support so they won't be charged on May 1st, (unless you want to stay in the course through till the end of May). But that's a couple months away, we'll all cross that bridge when we get there. And I'll walk you through all of it. 1. Go to Patreon and a click "Become a Patron". 2. 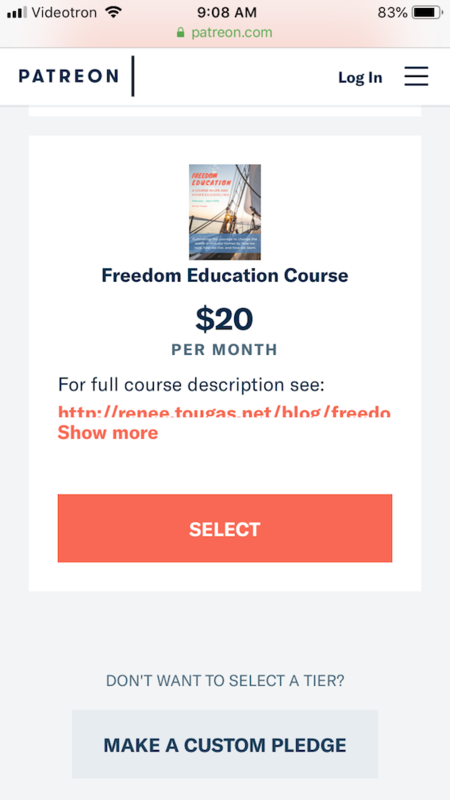 Find the "Freedom Education Course" $20 per month box. Click "Select". 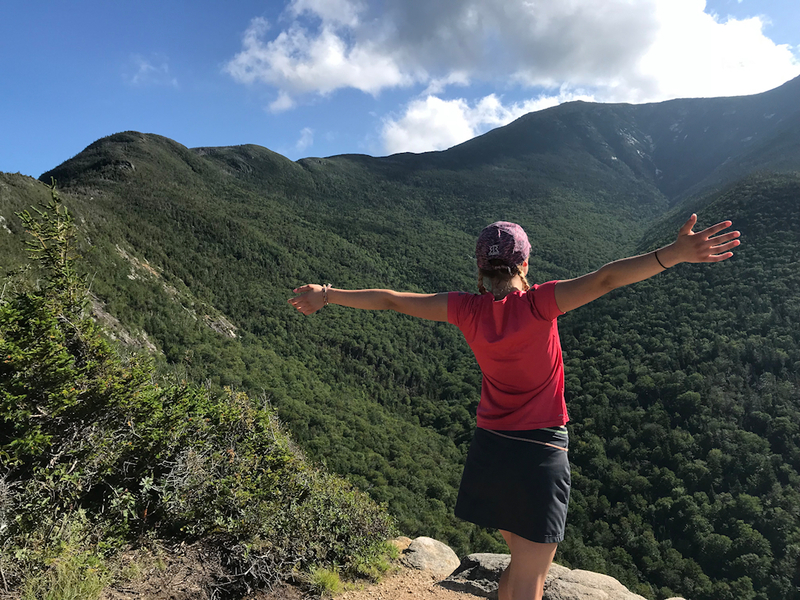 After you've become a Patron at the $20/month tier, basically signed up for the course, you will have immediate access to my monthly podcast (which is the $5/month tier benefit).